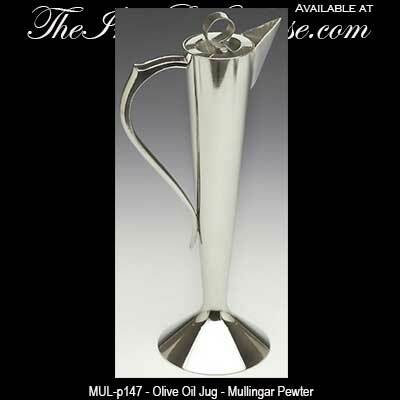 The Mullingar Pewter Olive Oil Jug is a 12 1/2" tall pitcher. Special Order, Allow 4 Weeks. Gift Boxed, Made in Ireland.